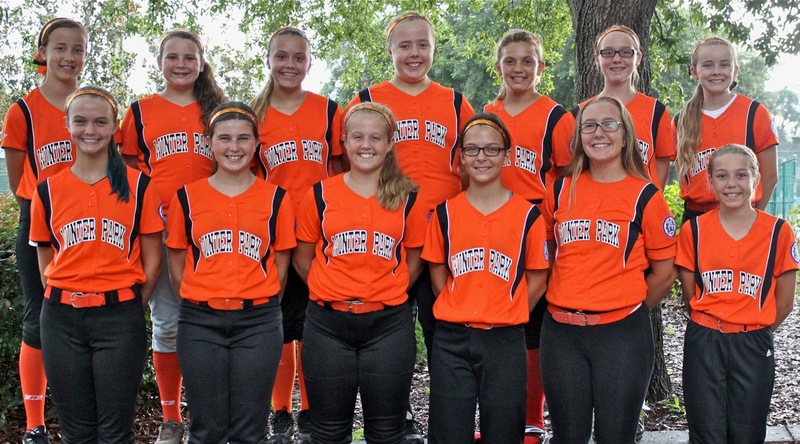 A Banner Season For Winter Park’s 12U Softball All-Stars! As the start of the fall ball season is upon us, there are a few girls in Winter Park still basking in the glory of a fast pitch season for the record books. Fourteen players strong, the Winter Park Babe Ruth 12U Softball All-stars played their hearts out and did not disappoint. They thrilled the home town crowd to win the District tournament over the Oviedo All-stars 6-5 in an undeniable nail biter. Not resting on their laurels, they continued to practice strong before heading to the State Championships in Lake City just a few weeks later. They certainly made a name for themselves at State as they hung tough with some of the finest teams in Florida. Sadly, they lost in the semi-finals to Jensen Beach and finished third in the state, behind the Jensen Beach Wildcats and the Bloomingdale Blaze. 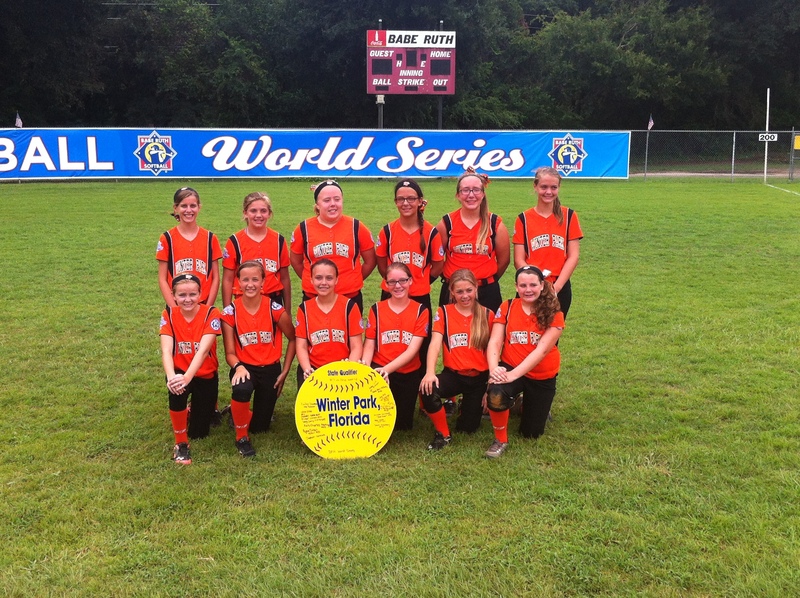 Their performance at State did not go unnoticed, as shortly after play ended in Lake City, the girls were invited to represent Winter Park at the 2014 Babe Ruth Softball World Series. The team then traveled a little farther north to Morganton, North Carolina for the Regional Championships. 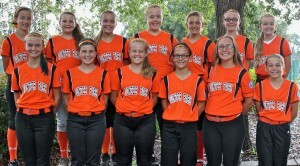 Blame it on the weather or the fact that the girls already had claimed a spot to compete at the World Series; they had a less than stellar show at Regionals. They left Morganton without a single victory and arrived back home in Winter Park more committed than ever. They trained hard and upon arrival in Alachua on August 6th for the opening ceremonies of the 2014 Babe Ruth Softball World Series, they were ready! Over the course of a week our Wildcats played 2-3 games daily in 100 degree temps, against 22 of the best teams in the country. A few rain delays, several bleacher-hopping wins, and a couple of heartbreaking losses later, our girls ended their season heads held high with an all-time Winter Park Babe Ruth record-breaking 7th place finish in the country! Over the course of the season, the team came together as both teammates and friends. They worked hard, competed with class and made a few memories for a lifetime. Thank you girls for the fun ride. We are proud of you and look forward to many more great seasons to come….GO WILDCATS!! 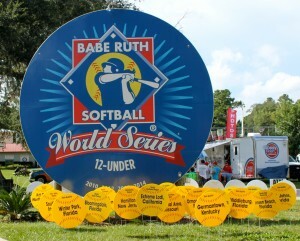 If you would like more information, or would like to register your child in an upcoming Winter Park Babe Ruth Baseball or Softball Season please visit www.winterpark.baberuthonline.com.